I have continued to work on my various Gettysburg and Civil War texts and today something from one of them that should appeal to those interested in Civil War infantry weaponry and tactics. I have to admit that I am kind of a geek about this kind of stuff but in order to understand the broad brush aspects of history one also has to know something about detailed facts. So anyway, here is a section of my text dealing with the advances in weaponry that made the American Civil War and subsequent wars so much more deadly. 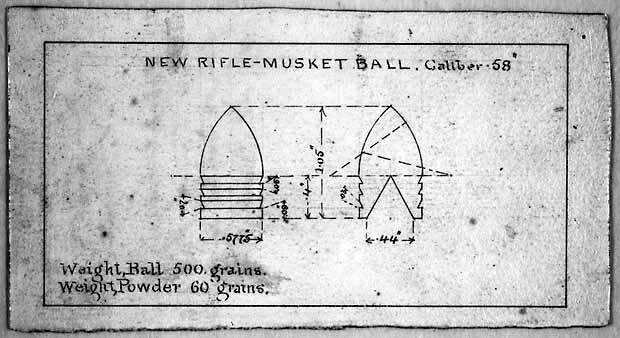 In was not until 1848 when French Army Captain Claude Minié who “perfected a bullet small enough to be easily rammed down a rifled barrel, with a wooden plug in the base of the bullet to expand it upon firing to take the rifling.”  Unfortunately the bullets were expensive to produce and it was not until in 1850 an American armorer at Harpers Ferry, James Burton “simplified the design that had made Minié famous and developed a hollow based, .58-caliber lead projectile that could be cheaply mass produced.”  Burton’s ammunition was very easy to load into weapons, and soldiers were able to drop the cartridge into the muzzle of their rifles as easily as they could musket balls down a smoothbore. 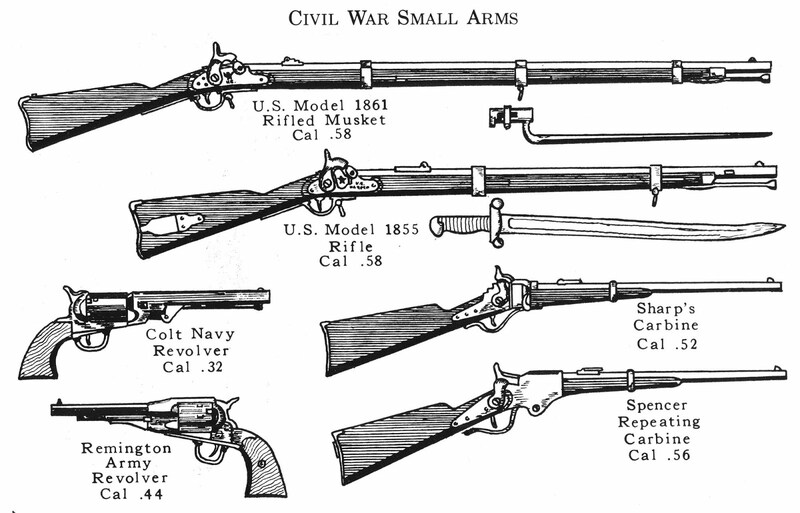 The one failure of Union Chief of Ordnance Ripley was his “insistence in sticking by the muzzle loading rifle as the standard infantry arm, rather than introducing the breach-loading repeating rifle.”  Ripley believed that a “move to rapid fire repeating rifles would put too much stress on the federal arsenals’ ability to supply the repeaters in sufficient quantities for the Union armies.”  There is a measure of truth in this for troops armed with these weapons did have the tendency to waste significantly more ammunition than those armed with slow firing muzzle loaders, but had he done so the war may not have lasted nearly as long. The number of kinds of weapons that a given unit might be equipped was difficult for commanders and logisticians on both sides. For example, Sherman’s division at the Battle of Shiloh “utilized six different kinds of shoulder arms, with each necessitating a different caliber of ammunition,”  which caused no end of logistical problems for Sherman’s troops as well as other units equipped with mixed weaponry. This was demonstrated time and time again throughout the course of the war as commanders attempted frontal assaults on such positions. “The only way to impose heavy enough casualties upon an enemy army to approximate that army’s destruction was to accept such heavy casualties oneself that no decisive advantage could accrue.”  Lee’s assault on Malvern Hill and his numerous frontal assaults on prepared positions at Gettysburg, Burnside’s ghastly assaults at Fredericksburg, Grant’s first attack at Vicksburg, and Grant’s ill-advised attack at Cold Harbor demonstrated the futility and ghastly cost of such tactics. 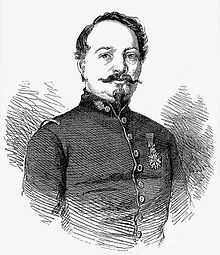 The ability of infantry in the assault to “rise up and deliver a frontal attack became almost always futile against any reasonably steady defenders. Even well executed flank attacks tended to suffer such heavy casualties as experienced riflemen maneuvered to form new fronts against them that they lost the decisiveness they had enjoyed in the Napoleonic Wars.”  During the Wilderness Campaign battles were fought for hours on end at point blank range amid heavy woods and fortifications. Despite the fact that leaders knew about the increased range and accuracy that came with the rifled musket, tactics in all arms were slow to change, and “on every occasion, a frontal assault delivered against an unshaken enemy led to failure.”  Even at Gettysburg Robert E. Lee would demonstrate that he had not fully appreciated the effects of the lethality of the rifled musket when he ordered Hood’s assault on Federal troops at Little Round Top on July 2nd and Pickett’s assault on the Union center on July 3rd 1863. Lee should have learned during the bloody battles of 1862 and early 1863 which cost his army over 50,000 casualties.